NO! That is what I actually cried, out loud, at 3 am when I finished this book. Cameo, Cameo, Cameo! How could you do this to me? I was so excited to be invited to read Cameo Renae's new book, Hidden Wings.I loved her debut book, In My Dreams. 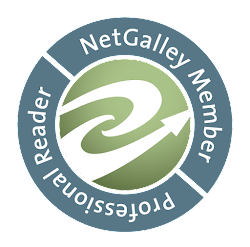 When you write an excellent book your first time out, it can be difficult to follow it up. Hidden Wings surpassed In My Dreams. I wish I could give more than 5 stars. I am in awe of Cameo Renae's talent. Emma is 17. She wakes up in the hospital to find her entire world turned upside down. Both of her parents died in the accident that put her in the hospital, custody has been granted to an aunt she did not know existed, she is moving to Alaska (a good thing but I am biased about that) and leaving behind, in California, her two best friends. Escorts come to get her for the trip to Ak and she is attacked by Darklings, creatures she did know existed, in the SeaTac airport. Then she finds out they have been sent to kill her. Talk about a bad day! That is just the beginning. There is so much action packed into this book that I found myself having to take small breaks just to breathe! There is also a bit of romance in this awesome fantasy. The cliffhanger will absolutely leave you wanting more. Cameo has done a terrific job with her writing. You get to know her characters and they become your friends. I was able to envision the fight scenes and the settings were vividly written. The book contains mild swearing but it is only once that I can recall. There are no scenes of a sexual nature. The romance written is suitable for teens. I highly recommend this book to all fans of YA Fantasy and Angel Fantasy. 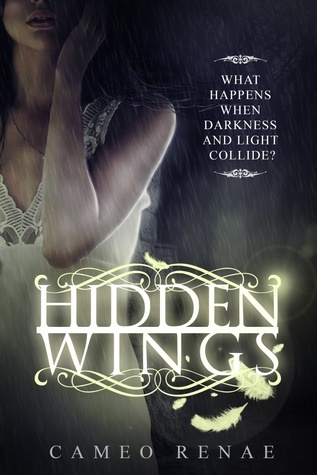 I received an ARC of Hidden Wings for review. No promises were made except to give an honest review of my opinion of the book. I received no compensation for this review. is a current Goodreads Giveaway Book!! Good luck to all entrants. The giveaway runs on Goodreads until March 26, 2013. My blog has nothing to do with the giveaway. I am just sharing the news. As always your comments are most welcome!